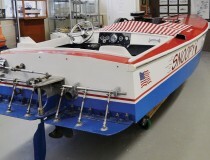 This new exhibit displays a 1928 New Jersey built “step speedboat”. 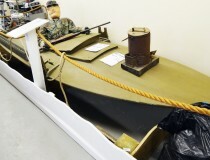 The step built into the bottom allowed for less drag as the boat would sit up plane. This was a popular style of design through the mid 1950’s for racers. 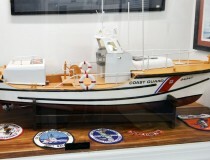 The display shows wooden boat building in progress, with a clear view of the interior a varied stages of completion. 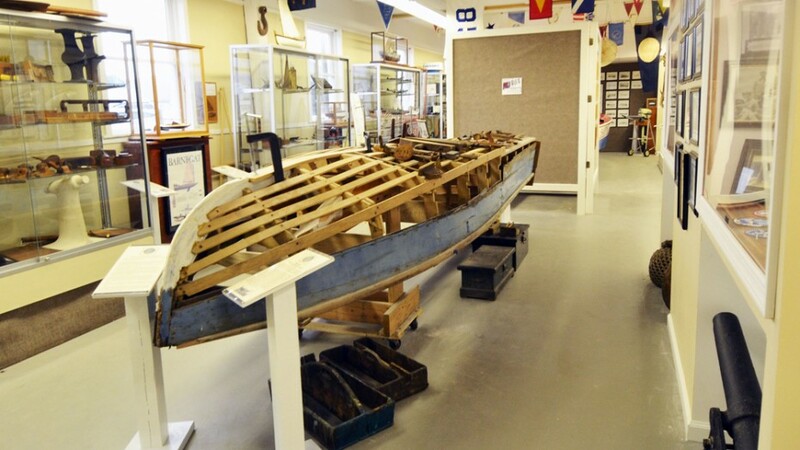 Along with descriptions of each process, the tools used at the time are also on display to give a more complete picture of how boats were constructed in the early/mid 20th century.